Do you want to add a close-up view to your images? Sometimes you may need to display a zoomed-in version of your image (e.g., to show the detail on your product). In this article, we will share how to zoom in on images in WordPress galleries. By default, there is no feature in WordPress to zoom in on images. You’ll need Envira Gallery’s Zoom Addon to do this. 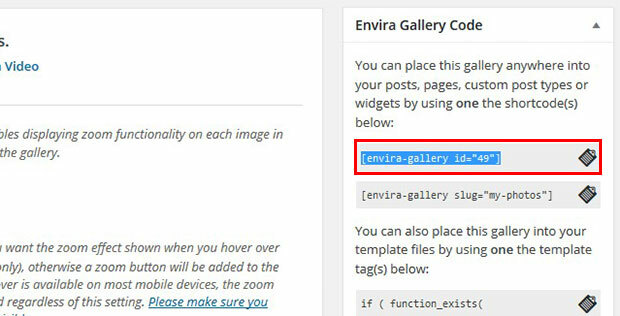 Upon activating the plugin, simply go to Envira Gallery » Add New to create an image gallery in WordPress. Check out more on how to create an image gallery with thumbnails in WordPress. After creating the image gallery, you are now ready to add the zoom functionality to the images in your gallery! First, you’ll need to install and activate the Envira Zoom Addon. To access this addon, you must have Envira Plus or higher license. 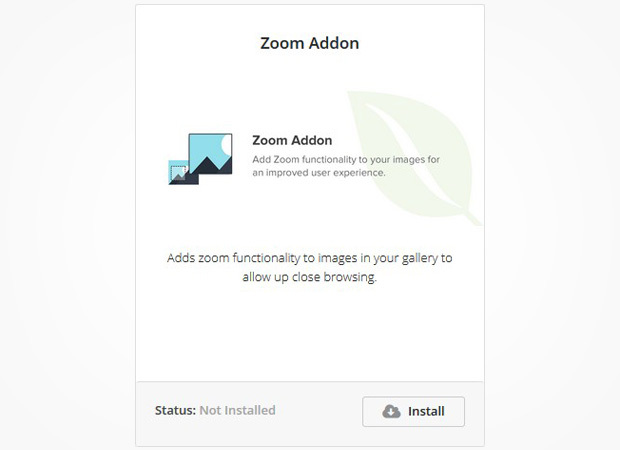 Simply go to Envira Gallery » Addons to install and activate Zoom Addon. Once the addon is activated, you need to edit your image gallery, and go to the Zoom tab to enable zoom functionality. 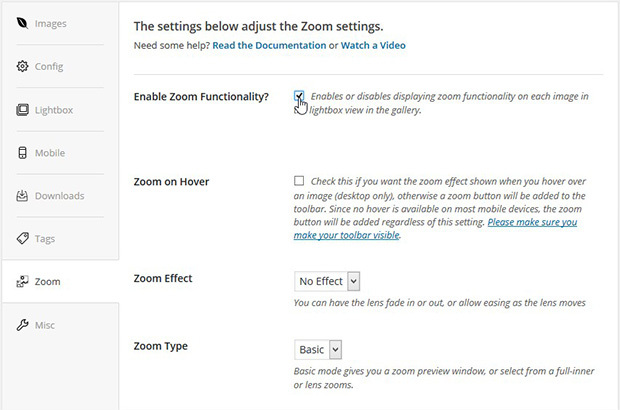 It will show you the settings for adding zoom to your images. Options include zoom on hover, zoom effect, zoom type and more. When you are satisfied with your settings, go ahead and click on the Update button. You can find the shortcode and some other information below the Update button in Envira Gallery: this is the shortcode you will use to add your image gallery with zoom to your posts or pages. Copy the shortcode from here. 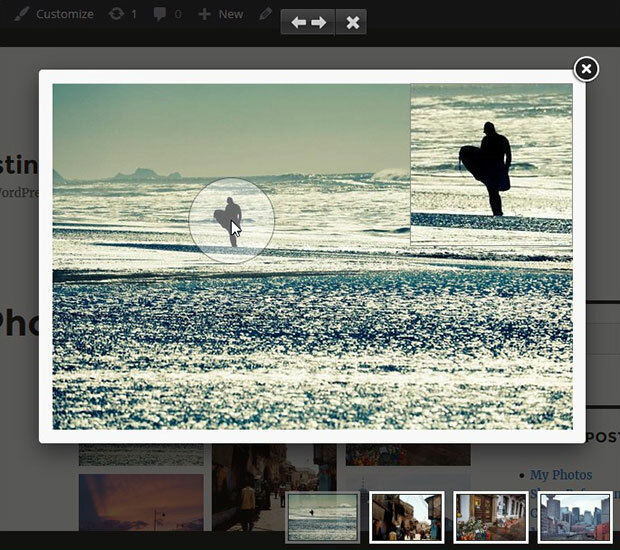 To place the image gallery, simply add a new post from Posts » Add New (or edit an existing post). Then, paste the shortcode into the visual or the text editor and hit the Publish button. 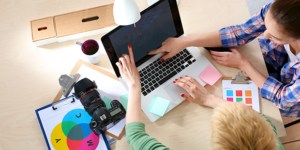 We hope this article has helped you to learn how to zoom in on images in WordPress galleries. 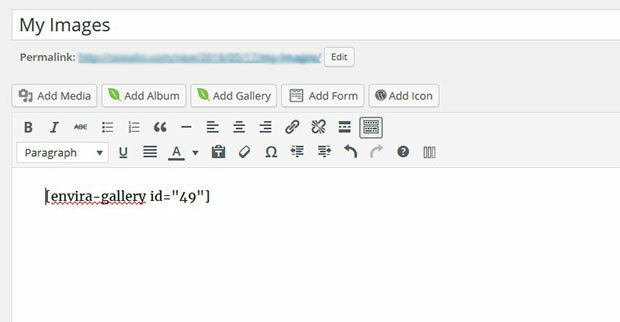 You may also want to check out our guide on how to allow users to download gallery images in WordPress. Is there any way to get the zoomContainer next to the image with this plugin? I need to have it next to the image instead of over it for a project I’m working on.